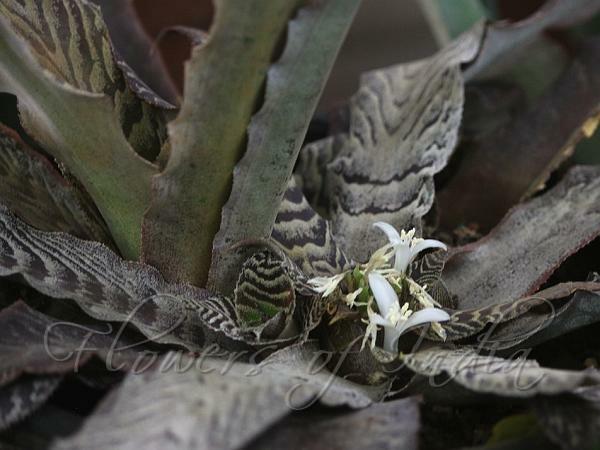 Zebra-Leaf Earth-Star is a plant forming a rosette of mid-green leaves with irregular zebra-like white cross bands. It occasionally produces a succession of white star like blooms from the center of the plant. This plant can be grown in mixed container gardens for a striking color and texture contrast. Cryptanthus are one of the easiest terrestrial bromeliads to grow. 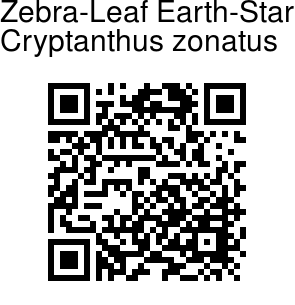 Zebra-Leaf Earth-Star is endemic to Brazil.